Topher Gross is Seagull Salon’s first razor haircutting specialist. Utilizing all hair cutting methods, Toper has a quick, intuitive sense of his clients and the style they are after. 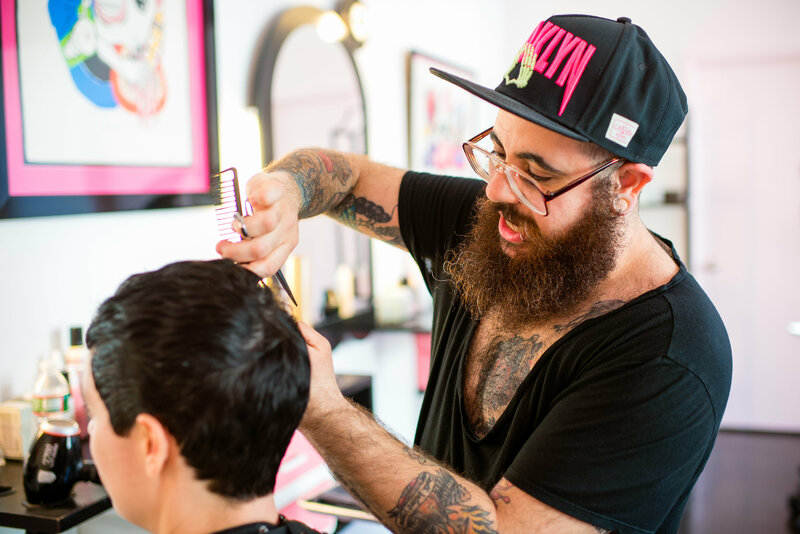 With over ten years of experience, Topher won accolades as a top educator for Arrojo, traveling the world to train up-and-comers on the most innovative and exciting hair trends. At Arrojo, he began forging his career as the most sought-after stylist in Soho, jet-setting from Paris and Berlin to London and New York, imprinting his signature talents wherever he landed. Today, Topher splits his time up between Miami, Los Angeles, San Francisco, and New York City, where Seagull Salon is very lucky to have him exclusively. Topher’s clients adore him for his generous advice and warm chair-side manner. It’s impossible not to fall instantly in love with his charisma and genuine enthusiasm for hairstyling. Topher Gross really is one of NYC’s crown jewels of hairstyling.